The U.S. government has adopted an ambitious trade agenda focusing on the development of bilateral and regional free trade agreements (FTAs) to augment multilateral trade negotiations under the auspices of the World Trade Organization. The goal of these FTAs is to strengthen economic ties with FTA partners and expand export opportunities for U.S. companies. 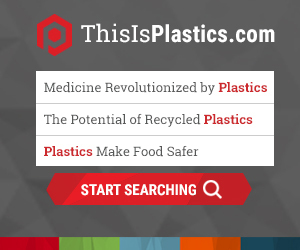 The Plastics Industry Association (PLASTICS) supports the U.S. government’s efforts to achieve trade liberalization abroad that allows U.S. plastics manufacturers to expand their sales and operations. As part of its International Trade Policy, PLASTICS urges the government to engage in a comprehensive approach to reducing and eliminating foreign trade barriers. PLASTICS works closely with U.S. trade officials to ensure that the interests of the U.S. plastics industry are taken into account during FTA negotiations. PLASTICS believes that tariff negotiations must be balanced and reciprocal. Specifically, the U.S. should agree to tariff cuts and/or a transition period for the elimination of tariffs only to the extent that the FTA partner offers the same benefits to U.S. exports. Reciprocity is particularly important for the plastics manufactured goods segment of the industry in which the U.S. has a sizable trade deficit. Trade promotion authority (TPA), also known as "fast-track" legislation, is a legislative approach through which Congress delegates some of its constitutional authority over international commerce to the President by allowing the Administration to "fast-track" the ratification of trade agreements by Congress. TPA applies not only to bilateral or regional free trade agreements (FTAs), but also to multilateral agreements reached under the auspices of the World Trade Organization (WTO). Therefore, TPA will be necessary for the ratification of any agreement resulting from the presently stalled Doha Round of WTO talks. TPA expired on June 30, 2007, but has since been renewed. In 2012, the Obama administration began seeking renewal of the authority and in June 2015, the TPA passed the Senate and was signed by the President. Consistent with its International Trade Policy, PLASTICS supports the renewal of the President's Trade Promotion Authority with the condition that it includes stronger enforcement of trade agreement provisions.